The machinery construction sector also forms the motor of the Turkish economy. 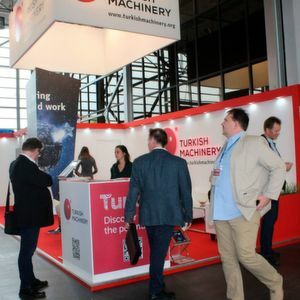 During the last 15 years, the Turkish machinery construction industry could both in the field of production, export, investments, occupation as well as record outstanding growth in the field of research and development. For some time, even if the upward trend of the Turkish economy overall has to combat with different barriers, the machinery construction sector faces up to this trend with engaged and dynamic companies and sets future challenges. Both individual companies and business associations and organisations work towards these goals. A special meaning attribute the economic operators for several years to the extended, intensive and proven economic relationships between Germany and Turkey. The German machinery construction sector is viewed in Turkey as an important motor for technology, progress and innovation and quality. For many Turkish companies, it is, therefore, of great significance, closely cooperative with the German sector to fulfil the requirements of technological redevelopments with the very advantages of flexibility, innovation and service willingness, geostrategic advantages and to learn and develop from and with German companies. MIB Association of Turkish Machine Manufacturers ; TIAD Machine Tools Industrialists and Businessmen Association) as well as with 48 Turkish exhibitors at the world leading fair for metal processing. What does your product or company exhibit? 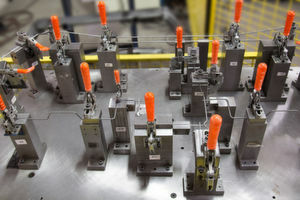 Development of new production techniques for several products; customised solutions; products with high quality and shelflife; flexibility, customer and quality orientation, precision. Here you get to the website of Enigma Fast Clamping Systems. 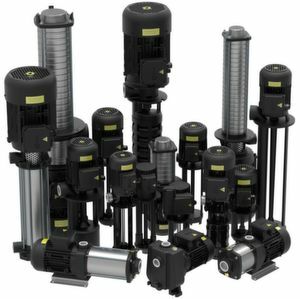 Customised solutions with high quality, open structures, employees involved to in constant development of new solutions; unique characteristics of drilling oil pumps and ATEX-certified vibration motors. The greatest strength lies in the F+E-activity and hence it is processed in an innovative and dauntless manner for product and quality development. Here you get to the website of Miksan Motor. High product and material quality; flexibility; far-reaching service network; short, reliable delivery times at competitive prices. Open structures and communication, flexible employees to motivate idea development and produce innovations as well as customised solutions. 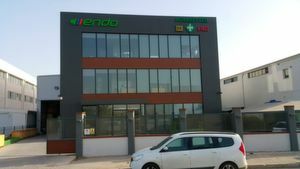 Here you get to the website of Endo Endüstriyel. Here you get to the website of Polkes Machine. Many of the exhibiting companies could, overall, expand the international relations, but evaluate vorrangig the contact opportunities to the German business participants as particularly important and successful.